Lawn Mount Sailboat Arch Address Plaque - - single-line address sign with sleek sailboat inside the arch. Holds up to five 4" numbers or seventeen 1.25" characters. Sailing theme sign includes two lawn stakes. Made in the USA. Personalized with your house number or wording you supply and your color scheme selection. 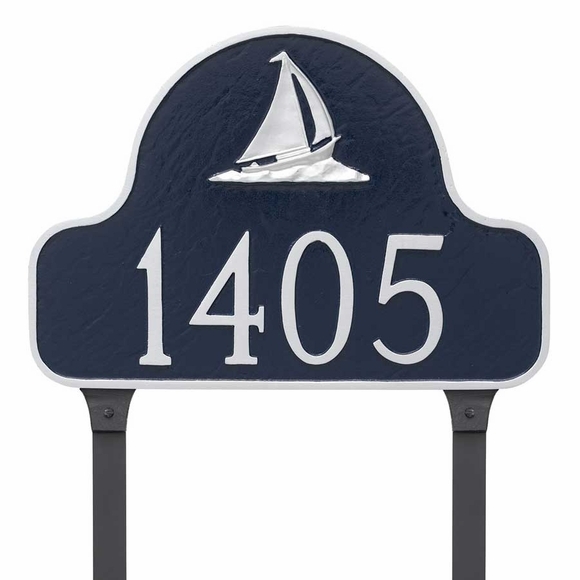 Personalized house number sign with sailboat also available for wall mount. See Related Products.